'I felt sorry for little Dickie last night and so I didn't put him to bed in his kennel. He was so happy he left me a smiley face to wake up to. (I promise I did not alter it.)" I'm impressed with Dickie...by the way, what is Dickie? 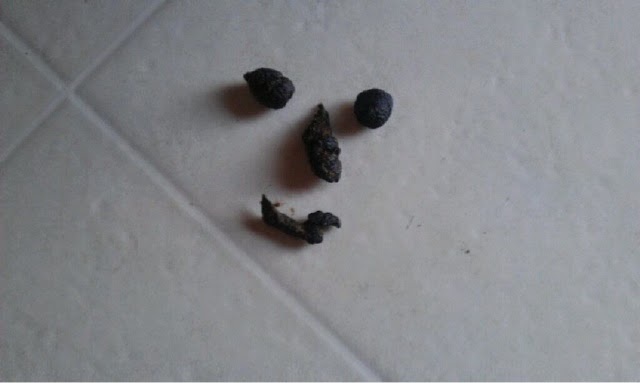 Of course..I know Yorkie poop!